You are in luck! 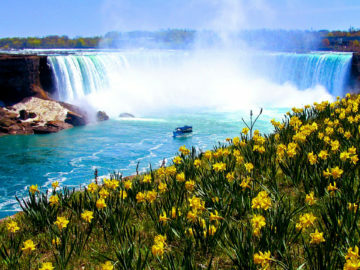 Since Niagara Falls is considered one of the most romantic destinations in the world for travel, it caters to couples. There are hundreds of spas to choose from, both here in the city and in beautiful, historic Niagara-on-the-Lake. Wondering which one to choose? These 8 Niagara Falls Hotels have spa amenities to make your booking your Valentine’s Day that much better! 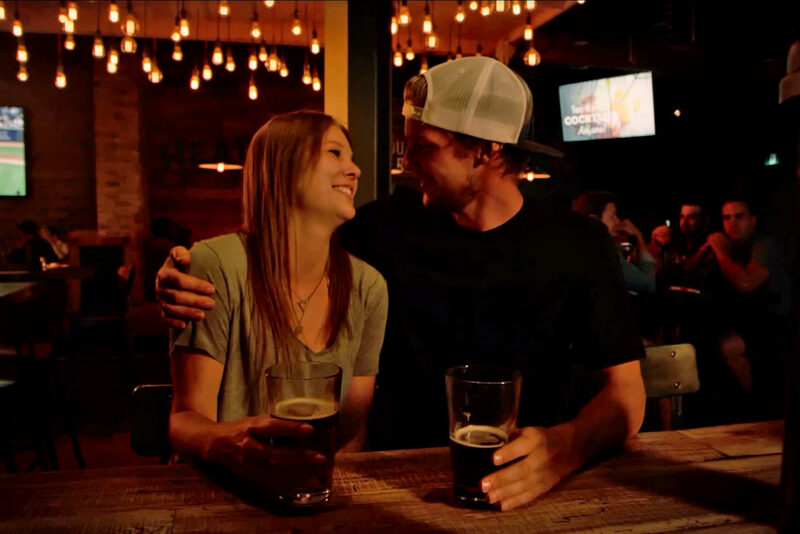 Clifton Hill is more than just family fun attractions, it’s also one of the most popular locations for romance! We have had countless proposals both aboard the Niagara SkyWheel and within the picturesque Oakes Garden Theatre. Both settings are prime locations for romance. 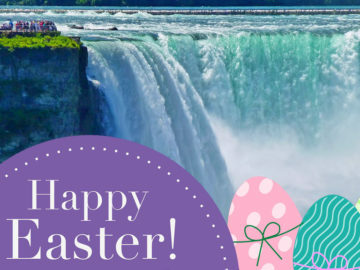 Follow it up by dinner at our KELSEY’S restaurant and a romantic stroll down to Queen Victoria Park to view the nightly Niagara Falls illuminations. 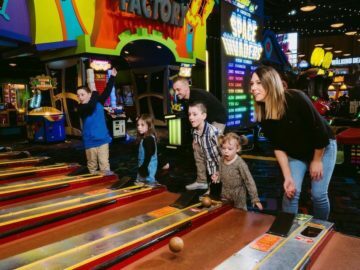 If you are a competitive couple, be sure to try out our new Zombie Attack 6D Multi-Sensory attraction or Ghost Blasters Dark Ride — and don’t forget the Great Canadian Midway; all part of the Clifton Hill Fun Pass. 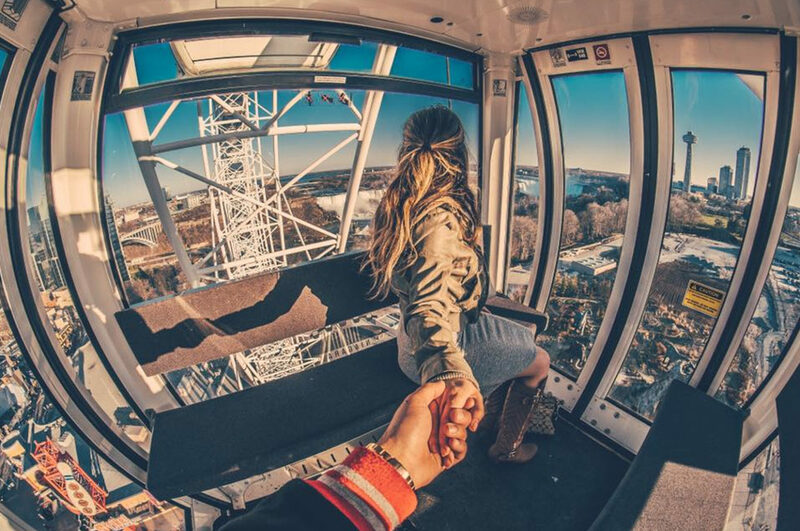 Clifton Hill is both fun and romance in one central, convenient location next to the Niagara Falls themselves. 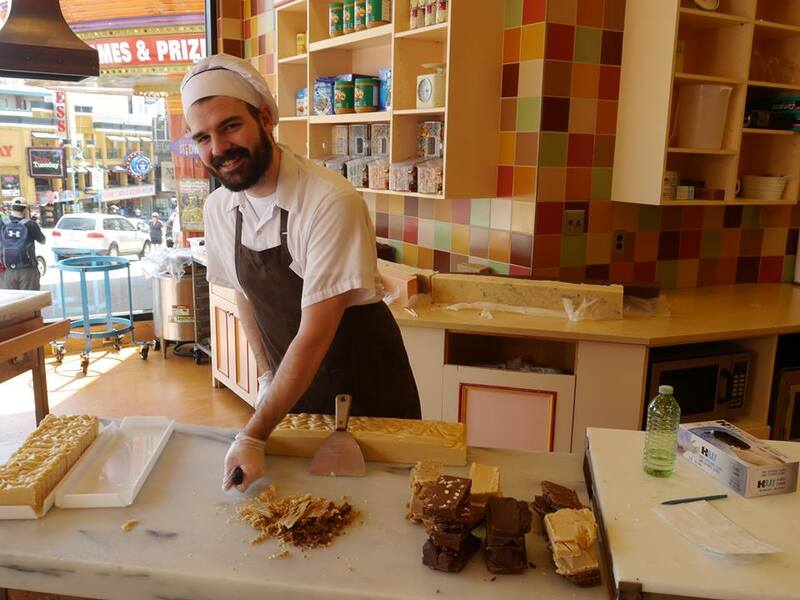 After your stop at the Fudge Factory, head inside the Fun Factory and experience a one-of-a-kind gift idea by getting two hands molded into one –We’re talking about getting your hands waxed at the Wax Hand Emporium! 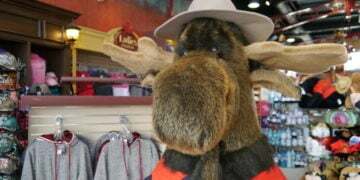 It’s a creative, inexpensive and unique souvenir to always remember your Valentine’s Day in Niagara Falls, and it’s offered right here on Clifton Hill. Choose your colours, message, single-hand or two! It’s up to you. 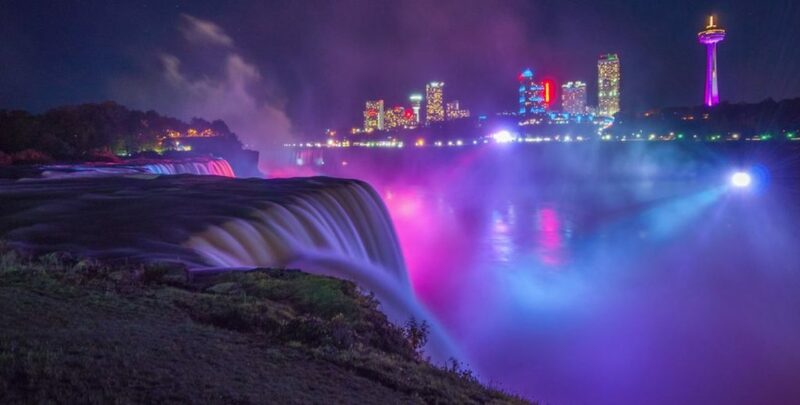 The Niagara Falls will be bathed in pink and red lights at the top of each hour for 15 minutes throughout the evening on Valentine’s Day beginning at 7:00 pm to Midnight. This will set the mood for couples celebrating this day! 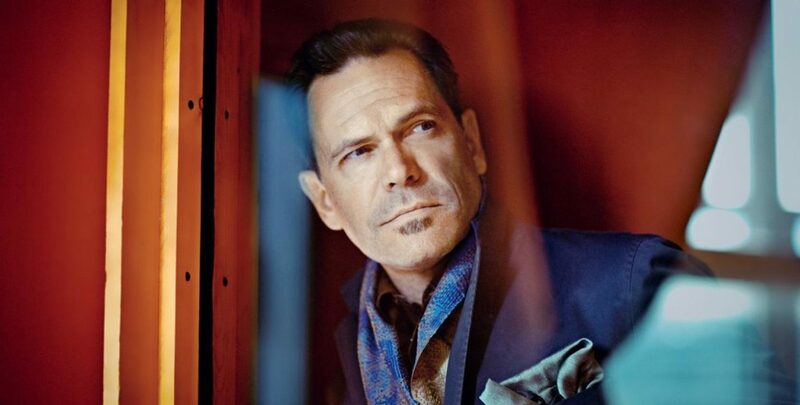 One of the world’s most well-known jazz vocalists Kurt Elling is performing an undeniably romantic concert at the Niagara Fallsview Casino on Valentine’s Day. Ticket prices start as low as $50 but won’t last for much longer, there are only a few dozens left! The famous Grammy-winning jazz singer combines a robust swing with his poetic insight for a most seductive musical experience that’s simply perfect for the occasion. The Greg Frewin Theatre will be heating up the romance on Valentine’s Day with a unique and inspirational night of magical illusion and romance! Enhance the magic of the year’s most romantic night. 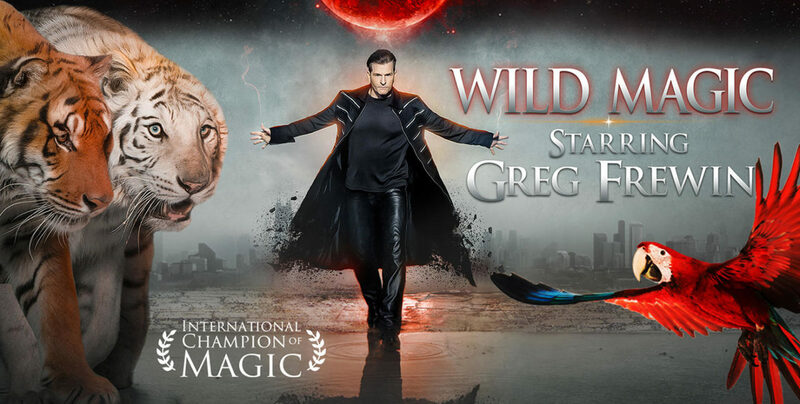 Join the Greg Frewin Theatre on Valentine’s Day-February 14th for a unique and inspirational night of magical illusion and romance. This non-stop show is packed with thrilling and sophisticated magic of unprecedented proportions. Visit www.gregfrewintheatre.com or call 905-356-0777 for tickets and information. Nothing says Valentine’s Day quite like wine and chocolate do. Wineries of Niagara-on-the-Lake is offering a special romantic event called Days of Wine and Chocolate for you and that special someone or you and your friends to indulge in. You’ll get to explore the decadent tastes and flavours of 20 infamous Niagara wines expertly paired with a selection of mouthwatering chocolate sweets. 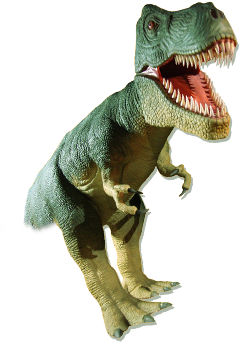 Touring passes for this experience are $55 per person and are valid for any of the available dates. 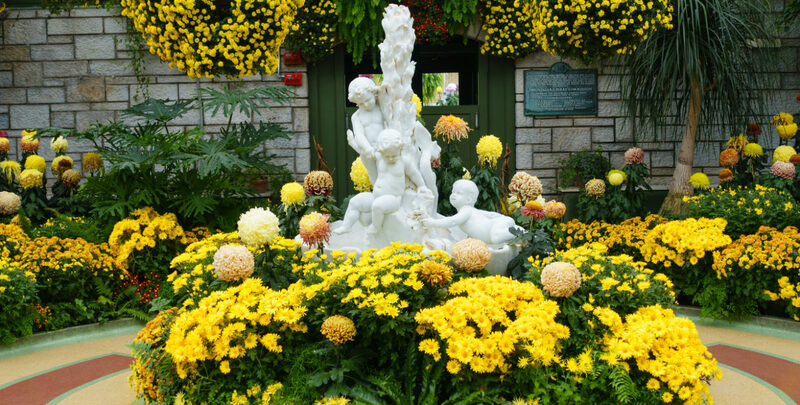 Tours are running each weekend in February from 11 am to 5 pm, and tickets can be purchased here. Would you prefer a Horse and Carriage ride in Niagara-on-the-Lake? Experience the history, and view the majestic homes and peaceful scenery of Sentineal Carriages. These Old Town Tours are available from The Prince Of Wales Hotel at the crossroads of King and Queen Street. This is a guided tour that includes the main street, along the water front and through the picturesque streets of the Old Town. 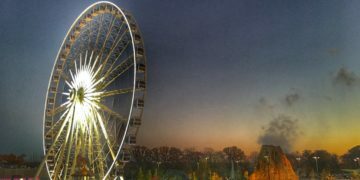 During the Winter, these rides are weather permitting and by reservation only. 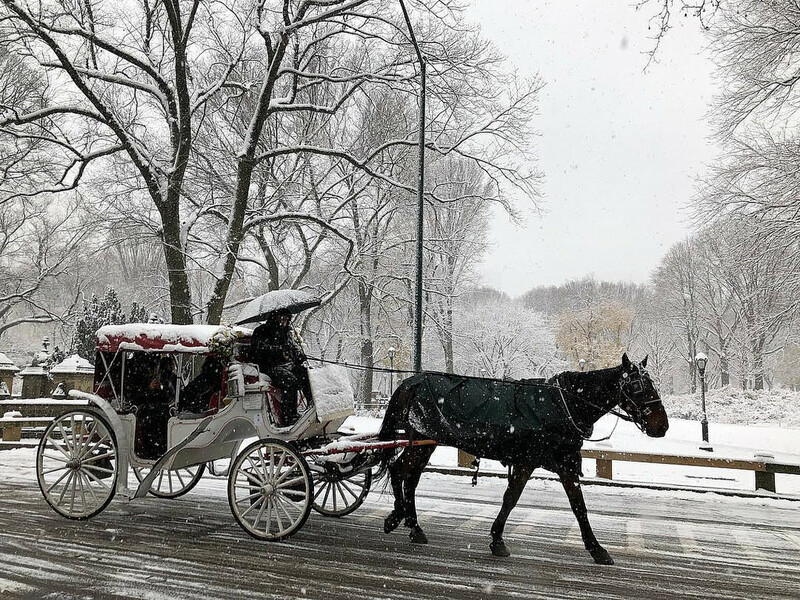 Carriages run Saturdays -11:00 am to 10:30 pm; Sundays – 11:00 am to 8:00pm; Monday through Friday – By reservation only. With Valentine’s Day especially, you should call and make a reservation ASAP. Please call: 905-468-4943. 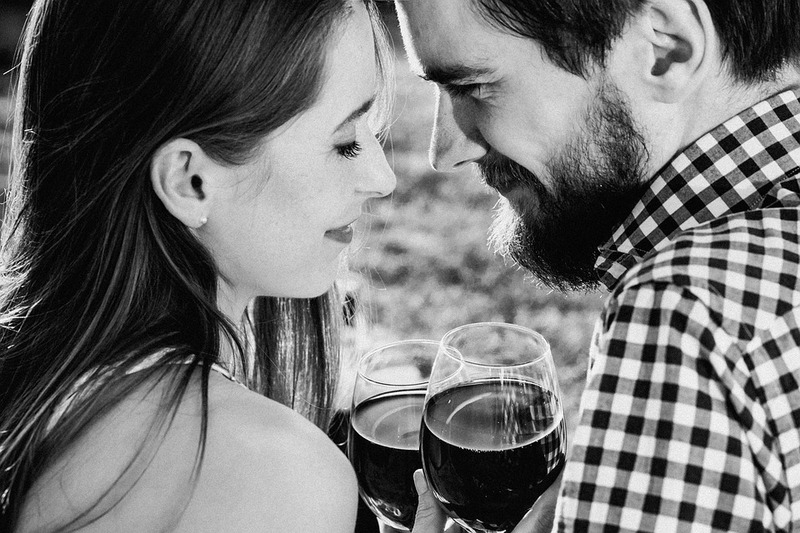 If you are still struggling with finding things to do in Niagara Falls for Valentine’s Day than you must visit one of our world-famous wineries! 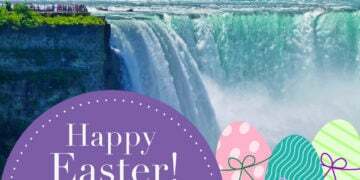 Niagara is “wine country” and the beautiful countryside no matter the season is a “must see”. The Niagara Region alone has over 50 wineries, with 25 vineyards in Niagara-on-the-Lake. The “Panorama” rooftop restaurant will be offering a special Valentine’s Feature Dinner from February 14-16th. Regular Winter Menu only available on Sunday, February 17th. Enjoy live music by Kelly DelFiacco on both Thursday, February 14th and Saturday, February 16th. 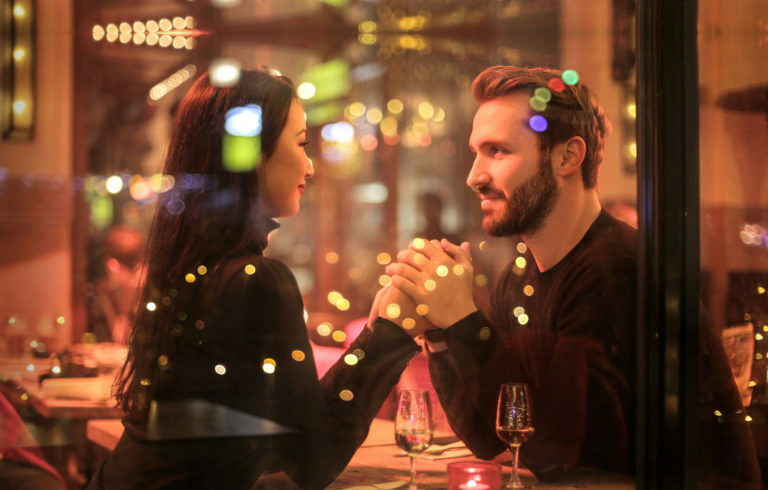 On Wednesday, February 14th, enjoy a delicious specially-curated, Italian-inspired 4 course dinner, romantic live music and an intimate, candle-lit dining experience at Kitchen76. Read: “Ways to Heat Up The Romance This Winter” for more ideas!